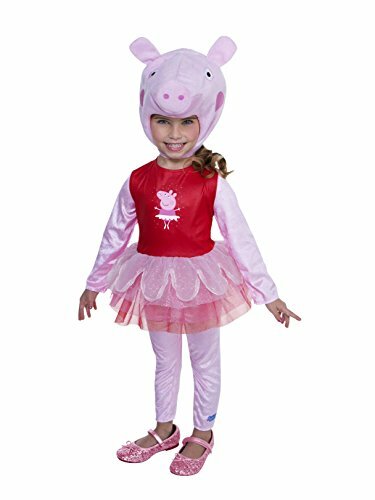 Have so much piggy fun in the Peppa Pig Toddler Dress Costume. She is the star of her Nick Jr. series where she plays with friends and family. This outfit comes as a single dress and looks like the same kind worn by Peppa on the show. It has light pink sleeves and is mostly dark pink along the body with the skirt ending around the knees. It has a blue Peppa Pig logo on the chest. To really look and act like a pig you get a Peppa hood depicting her face. 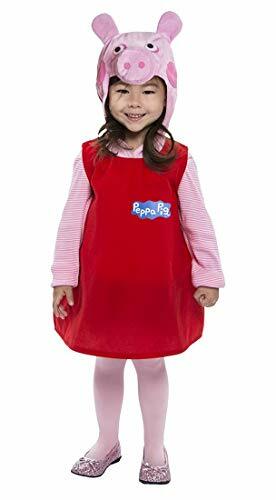 Your young fans will absolutely love dressing in the Peppa Pig costume to look just like her. Check out some of our other accessories and items to include with this fun outfit. 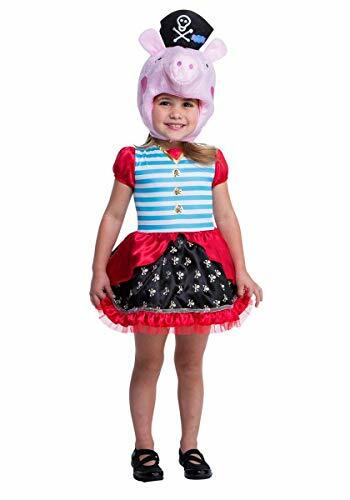 Peppa Pig pirate costume 3-4T Peppa Pig pirate costume 3-4T Peppa Pig pirate costume 3-4T Peppa Pig pirate costume 3-4T. It's time to become your favorite pig patriarch! 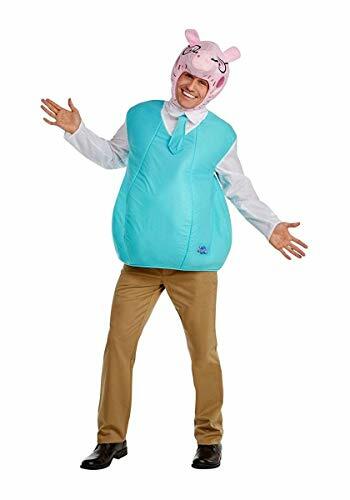 This Daddy Pig costume is a cute Peppa Pig outfit based on the one and only Daddy Pig from the cartoon series. It comes with his turquoise top and a matching tie, along with a headpiece shaped like his head. 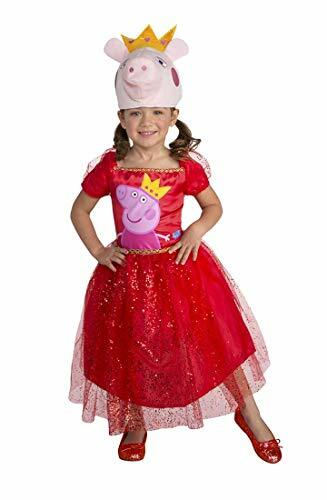 It makes for a great way to cosplay with your little Peppa fan!? 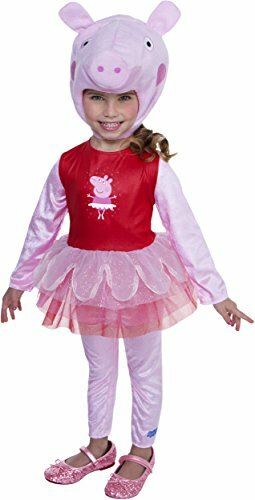 Add a pretty spin to your favorite cartoon character costume with the Peppa Pig Ballerina Child Costume. This elegant ensemble is a perfect choice for Halloween, cosplay, or playtime. Get your tutu on and get ready to dance! Shop officially licensed Peppa Pig costumes and accessories online now.